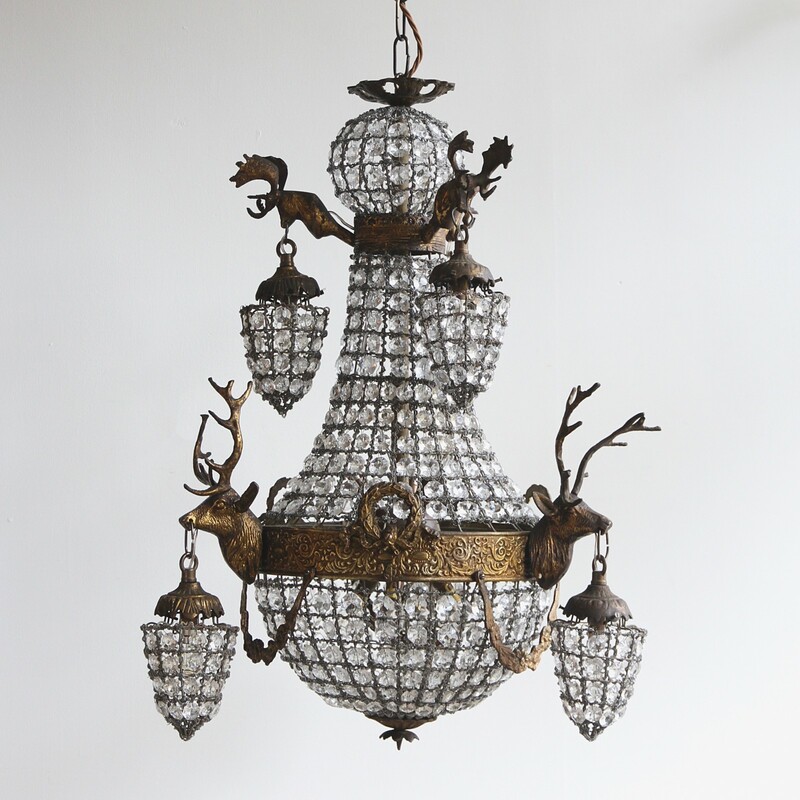 Early 1900s French empire balloon chandelier with stags head sconces. Parts of the glass encrusted mesh have been restored and replaced. Chandelier has six hidden inner lamps and six outer lanterns all containing a single lamp. Supplied with chain and ceiling rose.